Hi, I’m Dr. Clint Blackwood. Practicing dentistry at Salt Lake Dental Care – Clint Blackwood DDS is enjoyable and rewarding. I appreciate the relationships I have formed with my valued patients who trust me to care for their teeth. If you are one of my patients, let me thank you personally for allowing me to serve your dental needs. I know you have many other choices for dentistry in the Salt Lake City area. Kudos to my talented dental team and dedicated administrative staff who keep my high-quality Murray practice running smoothly and allow me to focus on what I do best. If you are visiting this blog for the first time and need an experienced dentist, I hope you will consider my practice. You can learn more about our services and philosophy at https://www.saltlakedentalcare.com/meet-dr-blackwood/ or call 801-938-8855 to schedule a no-pressure consultation. I have been keeping smiles healthy and performing smile makeovers at my Murray cosmetic dental practice since 2005. Each one of my Salt Lake City smile redesign patients values their new smile almost as much as I value their support. At Salt Lake Dental Care – Clint Blackwood DDS, we provide a full array of innovative cosmetic dental procedures available including teeth whitening, invisible braces, tooth-colored fillings, dental crowns, porcelain veneers, cosmetic bonding, gum contouring, and crown lengthening. If you don’t make it a point to keep up with the ever-evolving world of dentistry (and who does? ), you might not be aware of the procedures that are now available. There have never been as many effective treatments for crooked teeth, gum disease, discolored teeth, and any other dental malady you can imagine. Ask us about exciting advances in children’s cavity prevention, laser dentistry, cold sore removal, same day restorations, early decay detection, and oral cancer screening. 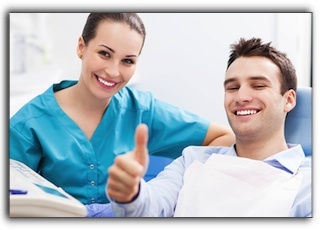 Again, thanks for visiting our Salt Lake Dental Care – Clint Blackwood DDS website. Enjoy your day.